Mike aka Mr Laura here. It is always good to be reminded that the world is really mostly made up of good people doing good things. Laura received this note this week from Kathy. Bless you Kathy and Ruth for your good work and Thank You for sharing it with us. Hi Laura, Here is the picture I mentioned to you at the Lancaster Quilt show. 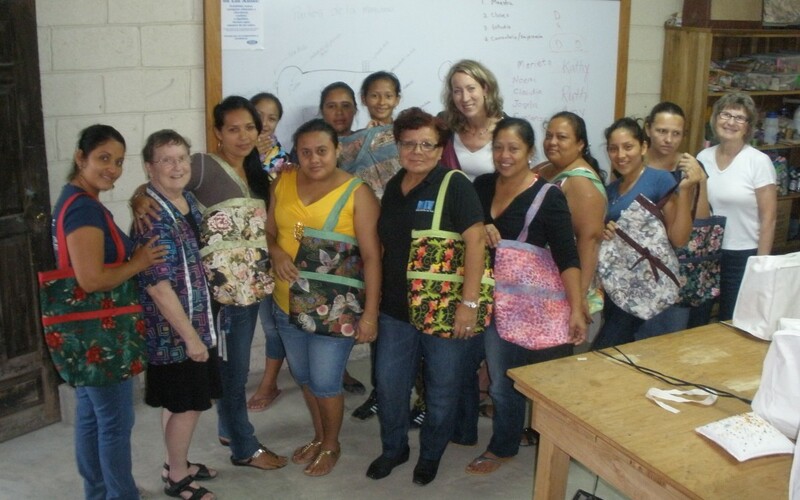 My friend, Ruth and I spent a week with missionary friends in Puerto Cortez, Honduras, teaching a sewing class at the technical school that is their ministry. We cut out all the fabrics and interfacing for enough “Laura’s Totes” from our stashes prior to going. 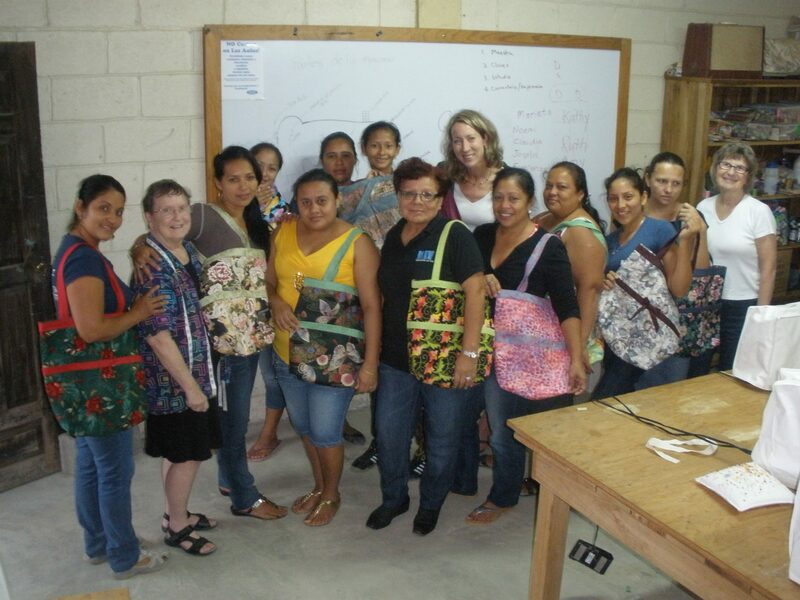 As you can see the ladies were thrilled with their finished totes. I’ve lost count of how many of the totes I have made for gifts. Thank you for such a beautiful pattern that always turns out so professional looking.